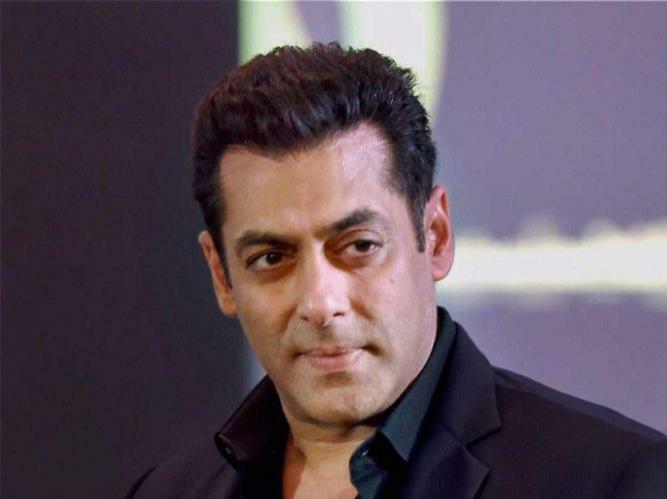 For superstar Salman Khan, Abu Dhabi has been like a second home and the shooting of his next "Bharat", which concluded in the UAE capital recently, was a thrilling and an enjoyable experience. The star-studded cast and crew of the Bollywood film completed their shoot in Abu Dhabi after an intensive 15 days of filming which included 10 Indian superstars and spanned across three locations. "There are close cultural ties between India and Abu Dhabi, which is one of the reasons I love coming here. Having spent more time in Abu Dhabi than in India over the last year, it certainly feels like a second home for me. It has been an exciting, thrilling and enjoyable experience to shoot 'Bharat' here," Salman said. The production shot in the stunning Liwa desert and purpose-built sets that replicated an oilfield in the 1970s were situated at Al Wathba and Al Ain. The production also made use of award-winning backlot of twofour54, which is home to the Gulf city's media and entertainment industry, at KIZAD, where they created an Arabian marketplace. A locally-sourced cast of 10 talents from Germany, France, Ireland, Russia, Iran and Pakistan also feature in the scenes shot in Abu Dhabi, while twofour54 partner company Media Mania helped source the 1,400 extras needed for the production, a statement by twofour54 said. "Abu Dhabi is home to extraordinary filmmaking talent, as well as world-class facilities, locations and services that are drawing the best in the business to our shores, and I'm delighted that Salman Khan and his team have enjoyed another smooth and seamless shoot here," said Maryam Eid AlMheiri, CEO of Media Zone Authority Abu Dhabi and twofour54. "It has already been a remarkable year with four international productions shooting in Abu Dhabi. I believe it is a testament to the vision of our country's leaders and the dedication and passion of our thriving media professionals that we have built a creative ecosystem that is attracting so many world-class filmmakers," she said. According to "Bharat" director Ali Abbas Zaffar, Abu Dhabi is a "filmmakers' paradise thanks to the diverse array of locations you can choose from and the incredible support and talent twofour54 provides". Due to release in cinemas during Eid Ul Fitr 2019, "Bharat" is an official adaptation of the 2014 Korean film "Ode to My Father", which depicted modern Korean history from the 1950s to the present day through the life of an ordinary man. The cast also includes Katrina Kaif, Tabu, Jackie Shroff, Sunil Grover, Disha Patani and Nora Fatehi. The movie is being produced by Reel Life Production Pvt Ltd, owned by Salman's sister Alvira and brother-in-law Atul Agnihotri. "Bharat" is the seventh major Indian movie to be shot in Abu Dhabi, and the third this year. "Race 3" was shot earlier in the year as well as "Saaho", which features Prabhas. Other major productions in Abu Dhabi this year include Paramount Pictures' "Mission: Impossible - Fallout", which saw Hollywood legend Tom Cruise leap from 20,000 feet in the Emirate's sky for the daredevil HALO parachute jump.